Eating Disorder Treatment Across Levels of Care: Where do my patients belong? This intermediate level presentation will review five levels of care (inpatient, residential, partial hospitalization, intensive outpatient, and outpatient) in eating disorder treatment. Presenters will identify the various admitting requirements, insurance barriers, treatment interventions, and pros/cons for each of these levels. They will also discuss medical and clinical concerns at each level, especially focusing on when a patient is not at the appropriate level of care. Following, presenters will hold a panel discussion and Q&A. 3) Understand pros and cons of being at each level of care & understand concerns regarding not being at the appropriate level of care. 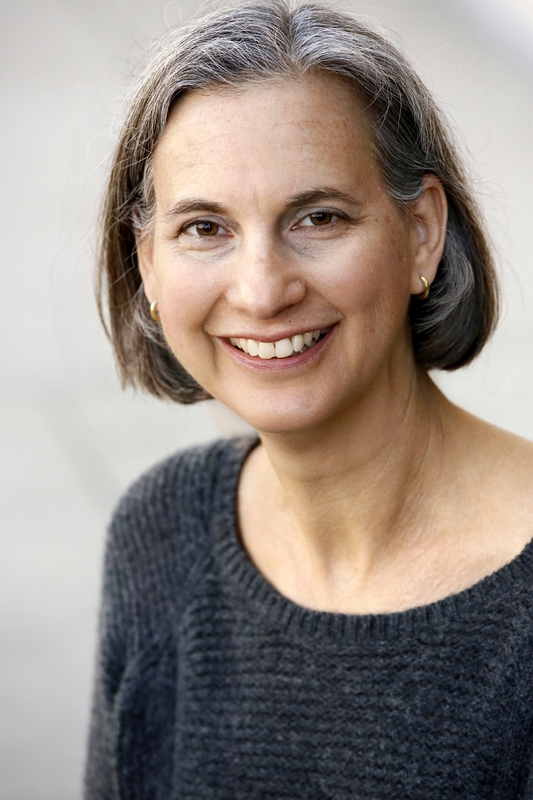 Dr. Linda Schack has been treating adolescents and young adults with eating disorders for 25 years. She is one of only a handful of adolescent medicine specialists in the country who sees teens and young adults in private practice. Dr. Schack has supervised the care of patients with eating disorders in outpatient, residential, and hospital settings. She is currently the medical director of the Medical Stabilization Program for Patients with Eating Disorders at Torrance Memorial Medical Center. Christina has enthusiastically spent the better part of the past 15 years in the Mental Health field including leading Clinical Outreach departments at several well-known Eating Disorder programs and has experience working as a licensed psychotherapist at all levels of care in eating disorder and addiction treatment. Her focus has been primarily in the eating disorder field working closely with and studying under some of the pioneers in eating disorder treatment. 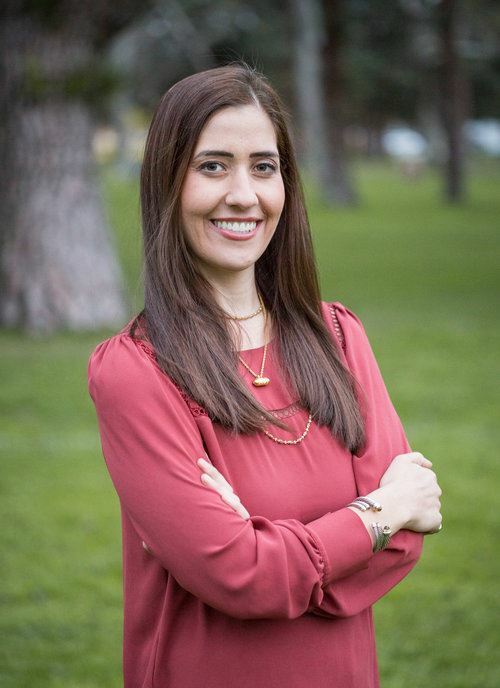 She currently sits on the board of Eating Disorder Support Services (EDRS), a Bay Area nonprofit organization and has been instrumental in launching several IAEDP chapters on the West Coast and the first NEDA Walk Los Angeles. Christina received her undergraduate degree in Psychology and Business from the University of Southern California (USC) and a Masters in Public Health Communication from Annenberg at USC where she developed several research projects looking at the impact of media on eating disorders in the adolescent population. She received her Masters of Clinical Psychology, with an emphasis in Spiritual Depth, at Antioch University, which included studying Attachment theory abroad at Tavistock Institute in London. She is trained in Somatic Experiencing which offers the opportunity to engage, complete, and resolve, in a slow and supported way, automatic and unresolved responses of anxiety, rage or trauma and relax into a growing sense of calm and safety. Sarah Burney is a Licensed Clinical Social Worker and Certified Eating Disorder Specialist who completed her graduate studies at the University of Southern California, earning a Masters of Social Work with a concentration in Mental Health. She currently works as the program director and therapist at Center For Discovery’s adult eating disorder facility in Rancho Palos Verdes, CA. In the beginning of her career with Center For Discovery in 2013, Sarah worked as a counselor at an adolescent residential facility. Sarah then grew to work as a primary therapist at the Residential, Partial Hospitalization, and Intensive Outpatient Levels of Care, at both adult and adolescent facilities with Discovery. Sarah moved to her current role as program director of Rancho Palos Verdes Adult Eating Disorder Residential Treatment in fall of 2016, where she now finds joy in leading a team that guides individuals on the road of recovery. Sarah utilizes a psychoanalytic, humanistic, and emotion focused perspective to implement various evidence based practices that treat eating and co-occurring disorders. Sarah brings integrity, compassion, and humor to her work with individuals and families, helping them to realize their potential for growth, empowering them to be their own advocate, and ultimately helping them to find a sense of safety and freedom. Marketing Your Private Practice Like A Pro! This presentation gives therapists detailed, practical ways to market their practice and earn a better income! When you’re looking to develop your practice, an essential step is to identify your best referral sources (other therapists, doctors, online, attorneys, etc.). The next step is to develop ways to connect with these referral sources in an ongoing manner. In order to achieve this, it is helpful to have both broad (macro) and specific (micro) marketing approaches to reaching these individuals/profession groups. This presentation will equip therapists with a variety of approaches to identify and connect with potential referral sources. Participants will explore the unique aspects of their practice and learn how to effectively present these “benefits”. We will then discuss a ‘menu’ of specific marketing activities for each participant to consider before deciding which to adopt for their practice. He holds Masters Degrees in Clinical Psychology and Conflict Management, is an adjunct professor at Azusa Pacific University and serves on the Torrance Family Court and Second Appellate District mediation panels. Participants and speakers may remain for questions if they wish or can simply network without any structure. 2.0 Continue education units will still be provided. There will be no breaks. Law & Ethics 2019: Tough Calls, Moral Dilemmas, Technology, and More! Presented by: Ben Caldwell, Psy.D. Space Limited! Register Today! Lunch will be provided! Workshop Description: Our morals and values inevitably influence our work. When we have clear legal and ethical standards to guide us, we defer to those standards. But often, when faced with difficult decisions, our standards offer conflicting guidance, or none at all. This can confuse clients, who wonder whether their therapist will truly understand or support their choices. Through the use of case examples, this workshop will show how our individual morals and values influence therapy work even when we seek to appear neutral; how to identify your own morals and values relevant to your practice; and why owning those values matters. Workshop Goal: Goals for this workshop include (1) Assisting therapists in understanding the role that their own morals and values play in clinical and ethical decision-making; (2) Encouraging therapists to think critically about that role and its implications for therapy; (3) Informing therapists about recent developments in court cases and ethical standards related to the personal values of the therapist; and (4) Encouraging therapists toward transparency with clients about the therapist’s values, in accordance with ethical standards and the therapist’s theoretical orientation. Identify at least two personal morals and values most relevant to their psychotherapy practice. Differentiate between a personal opinion, a clinical opinion, advice-giving, and imposing personal values. Benjamin Caldwell is the author of five books, including Basics of California Law for LMFTs, LPCCs, and LCSWs, and Saving Psychotherapy. He serves as adjunct faculty for California State University Northridge. In his role as Chair of the Legislative and Advocacy Committee for the California Division of AAMFT, he was directly involved in California’s first-in-the-nation ban on reparative therapy for minors, and drove the change in title from “intern” to “associate” for prelicensed MFTs and PCCs. For his advocacy work, he was awarded the AAMFT Division Contribution Award in 2013. He maintains a private practice in Los Angeles, specializing in working with couples. LBSB CAMFT is approved by the California Association of Marriage and Family Therapists to sponsor continuing education for LMFT’s, LCSW’s, LEP’s & LPCC’s. LBSB CAMFT maintains responsibility for this program/course and its content. Course meets the qualifications for six (6) hours of continuing education credit for LMFTs, LCSWs, LPCCs and/or LEPs, as required by the California Board of Behavioral Sciences. Refund Policy: With a 24-hour written notice, a full refund will be provided. With less than 24 hours' notice, credit towards attendance at a future education program course will be provided. Target Audience: This educational program is planned for marriage and family therapists, marriage and family therapy associates, social workers, counselors and/or educations psychologist. Special Needs Accommodations: In the event that special needs accommodations are required, please contact Jennifer Birner at jb@jenniferbirner.com indicating your need at least 8 days prior to the educational program. Awarding Course Completion Certifications: LB-SB CAMFT monitors attendance with sign-in and sign-out sheets and final course evaluations. Once the participate have signed out and provided course evaluations, course completion certificates will be provided. Grievances: The Program Administrator (PA) and Board of Directors (BOD) will handle complaints or grievances and conduct investigations to determine the appropriate resolutions. The BOD and PA will respond within 48 hours of receiving the complaint and will provide timely fall-up to the participant during the course of investigation and resolution. Neurofeedback, Biofeedback & TMS: When to Refer Clients Presented by: Dr. Gary Schummer, Ph.D.
1 Feb 2019 Therapists' Book Group: "The Body Keeps the Score"
4 Jan 2019 Therapists' Book Group: "The Body Keeps the Score"
14 Sep 2018 EMDR: How does it work? Applications with children, adult attachment, and other presenting problems. Presented By: Ofra Obejas, LCSW, RPT and Dr. Nora Taylor, Psy.D. 7 Sep 2018 Therapists' Book Group: "Couples, Love and Relationships"
3 Aug 2018 Therapists' Book Group: "Couples Counseling Techniques"
8 Jun 2018 DIR/Floor Time: A Developmental/Relational Play Therapy for ASD and Sensory Processing Challenges Presented by Dr. Esther Hess, Ph.D.
6 Jan 2018 3000 Hour Club - A Vision Board Party: Dream It, Believe It, Claim It!